The campaign aims to promote SEPT.INFO a slow journalism magazine. In today’s world, most media race to be the fastest on the news: they don’t spend much time reporting, investigating or interviewing. Slow journalism is the opposite. It’s about taking the time and the pages it needs to write a story properly. It is also about publishing less, but better. 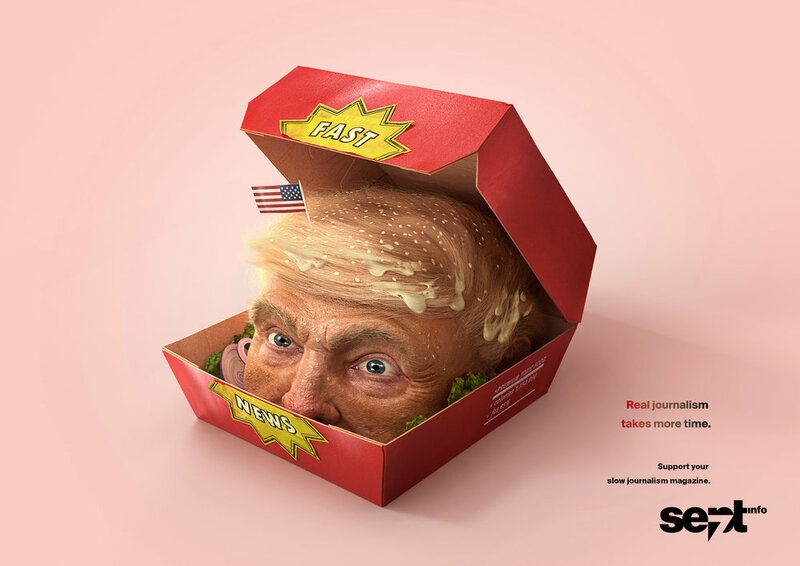 Our campaign showed how today’s «fast news» can be compared with fast food: it fills the mind, without nourishing it. The campaign was promoted in the other magazines and newspapers, so the people reading the news, could know that there’s another way to do it.